A familiar logo for Baltimore residents. When I was a child growing up in the Baltimore suburbs, going to a department store was a major treat. My family favored Hutzlers, a Baltimore institution founded in 1858. On special occasions my older sister and I were treated to lunch at the store. Models circulated among the tables of well-dressed diners. After our meal I was allowed to eat one or two sugar cubes from the sugar bowl. I can taste them even now! Hutzlers is gone now, but memories remain. 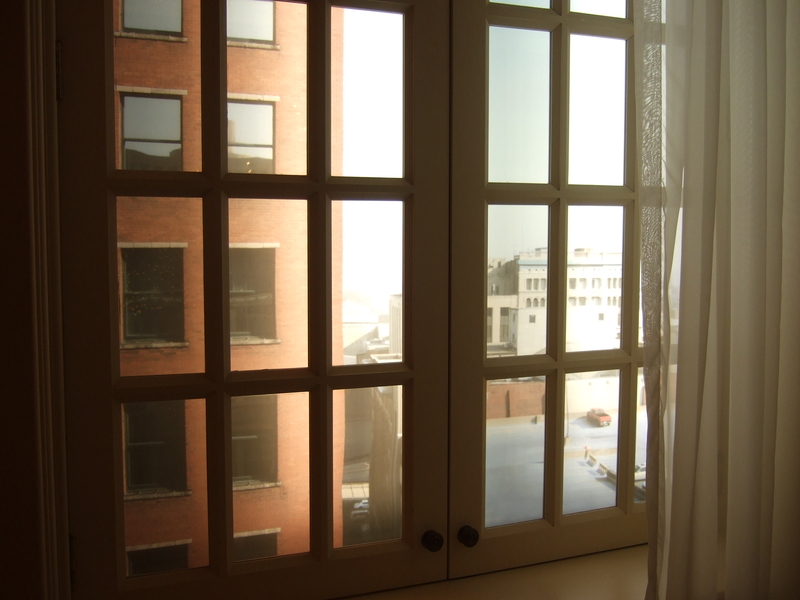 In Indianapolis, L.S. Ayres & Co. Department Store offered similar service from 1905 to 1990. Today the Indiana State Museum displays photographs and artifacts from this local institution. Shopping and dining at Ayres must have been similar to what I remember at Hutzlers. 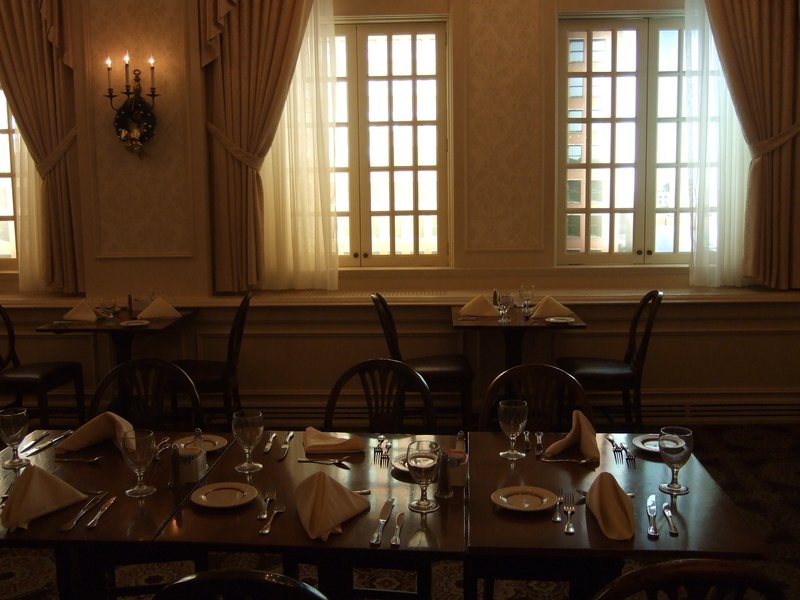 The Ayres Tea Room offered an upscale dining experience for customers, and helped keep them from leaving the store for lunch. Hats and gloves were required for women dining in the Tea Room into the 1960s. As at Hutzlers, models often showed customers the latest fashions. 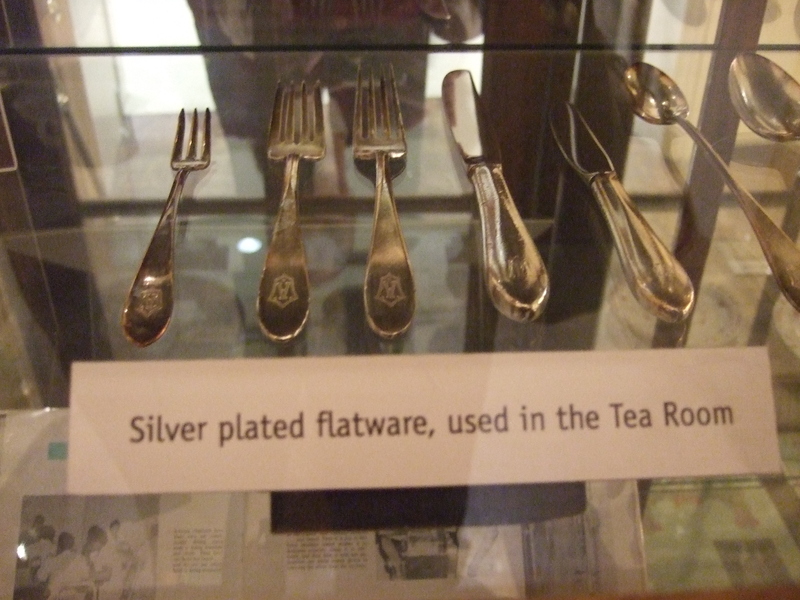 A few of the artifacts transferred to the museum when the Tea Room closed. Today, museum visitors can do more than reminisce. Ten years after its demise, the Ayres Tea Room was reborn within the Indiana State Museum—not as an exhibit, but as a working restaurant. The Tea Room today. The menu offers both traditional and new fare. Painted murals suggests the scene guests originally saw through the windows. 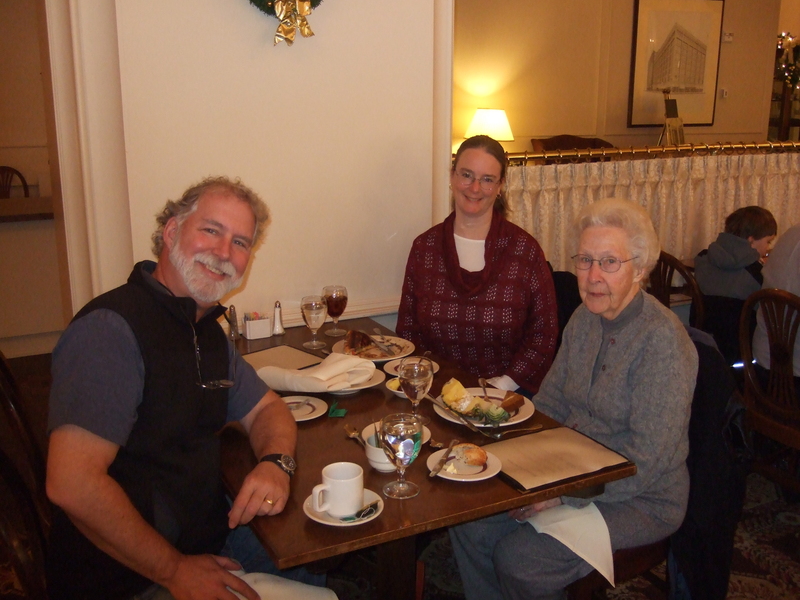 I recently visited the Tea Room with my husband Scott and his mother, who grew up in Indianapolis. She had many memories of meals at the original restaurant. Well-behaved children received a special gift from a Treasure Chest after their meal—or, during the holiday season, from a decorated Christmas tree. We saw that tradition continue with the kids at the next table, who seemed pleased with wooden yo-yos and puzzles. We all enjoyed a wonderful meal! Recreating a working restaurant was a stroke of genius. As we ate our meal I watched older adults nearby reminiscing, sharing the experience with their children and grandchildren. Those guests who have no memories of the Tea Room learned about, participated in, an Indianapolis tradition. 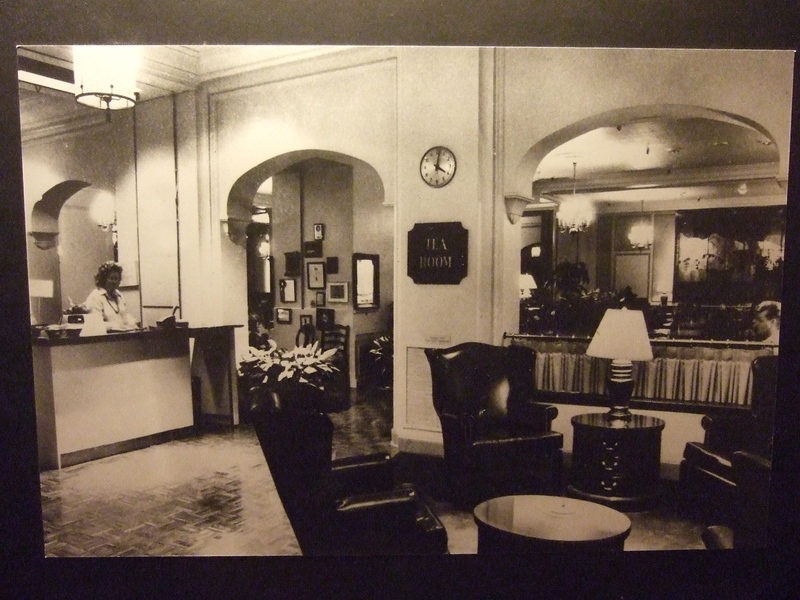 Do you have memories of special restaurants or department store luncheons? Are those experiences still available today? Sometimes it’s not just fun and informative to visit the past, but delicious as well. This entry was posted on December 9, 2010 at 9:51 pm and is filed under BUSINESSES. You can follow any responses to this entry through the RSS 2.0 feed. You can leave a response, or trackback from your own site.